The Curious Incident of the Dog in the Night-Time is adapted by Simon Stephens from the novel by Mark Haddon, and directed by Marianne Elliott (War Horse, Angels in America, Company). 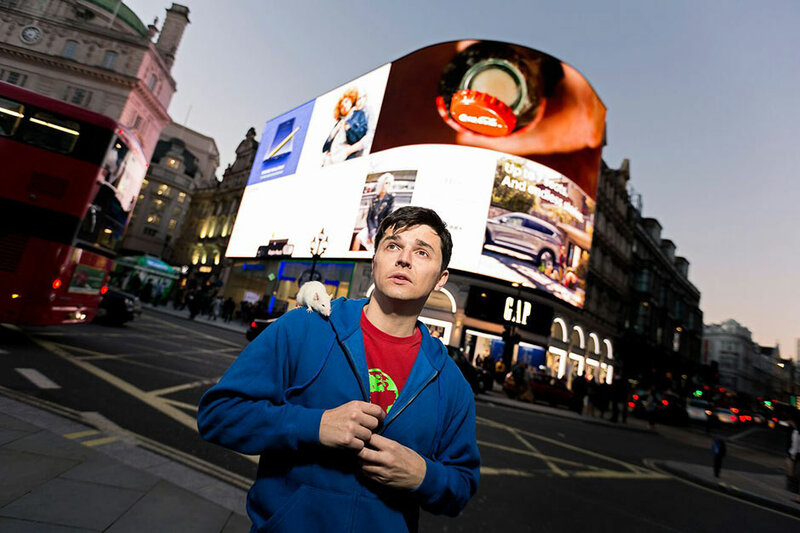 The Curious Incident of the Dog in the Night-Time has now been seen by more than three million people worldwide. It is the winner of seven Olivier Awards including Best New Play, Best Director, Best Design, Best Lighting Design and Best Sound Design. Following its New York premiere in September 2014, it became the longest-running play on Broadway in over a decade, winning five Tony Awards® including Best Play, six Drama Desk Awards including Outstanding Play, five Outer Critics Circle Awards including Outstanding New Broadway Play and the Drama League Award for Outstanding Production of a Broadway or Off Broadway Play. Joshua Jenkins played Christopher on the production’s second 25 city tour of the UK and Ireland ending in September 2017 and then on international tour visiting Amsterdam, Toronto, Hong Kong, Singapore, Shanghai, Beijing, Guangzhou, Melbourne, Brisbane, Adelaide, Canberra, Sydney and Perth from 2017– 18. The show recently completed a 30-date tour of the USA and a schools tour, taking a specially staged in-the-round 90 minute version of the play into 60 schools around the country continuing until December 2018. The show tells the story of Christopher John Francis Boone, who is fifteen years old. He stands besides Mrs Shears’ dead dog, which has been speared with a garden fork, it is seven minutes after midnight and Christopher is under suspicion. He records each fact in a book he is writing to solve the mystery of who killed Wellington. He has an extraordinary brain and is exceptional at maths while ill-equipped to interpret everyday life. He has never ventured alone beyond the end of his road, he detests being touched and distrusts strangers. But his detective work, forbidden by his father, takes him on a frightening journey that upturns his world.The production is designed by Bunny Christie, with lighting designer Paule Constable, and video design by Finn Ross. Movement is by Scott Graham and Steven Hoggett for Frantic Assembly, music by Adrian Sutton and sound by Ian Dickinson for Autograph. Mark Haddon’s novel The Curious Incident of the Dog in the Night-Time published in 2003 and was the winner of more than 17 literary awards, including prizes in the US, Japan, Holland and Italy, as well as the prestigious Whitbread Book of the Year Award in the UK in 2004. The novel has been translated into 44 languages and sold more than 5.5 million copies world-wide. Marianne Elliott, who was recently awarded an OBE for her services to theatre, is the Artistic Director of Elliott & Harper Productions, a company she recently set up with producer Chris Harper. Their latest production is Stephen Sondheim and George Furth’s musical comedy, Company, which opened at the Gielgud Theatre, London in September. Directed by Marianne Elliott and designed by Bunny Christie, the cast includes Rosalie Craig as Bobbie, Patti LuPone as Joanne, Mel Giedroyc as Sarah and Jonathan Bailey as Jamie. On 29 November War Horse returns to the NT and in doing so becomes the third production directed by Marianne playing in London.Marianne was an Associate Director of the National Theatre for 10 years, where her work included Tony Kushner’s Angels in America (which transferred to Broadway in February 2018 and won three Tony® Awards including Best Revival of a Play), War Horse (Tony® Award for best director, alongside co-director Tom Morris), Rules for Living, The Light Princess, Port, Season’s Greetings, All’s Well that Ends Well, Harper Regan, Saint Joan (Olivier Award for Best Revival, South Bank Show Award for Theatre) and Pillars of the Community (Evening Standard Award for Best Director). Marianne was consultant director on The Elephantom for the NT and directed Sweet Bird of Youth for the Old Vic with Kim Cattrall. Elliott & Harper’s previous productions are: Heisenberg: The Uncertainty Principle, co-producer of Angels in America in New York and The Lion the Witch at the Wardrobe (directed by Sally Cookson) at Leeds Playhouse.